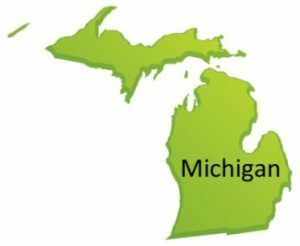 A proposal calling for strict oversight of Michigan’s medical marijuana industry would block out smaller players and ensure that only big pharmaceutical entities handle cannabis distribution in the state. That’s how the National Patients Rights Association (NPRA) views House Bill 5681, which would set up a regulatory and permitting system for dispensaries and caregivers. The NPRA came out against the bill this week, saying it was “introduced under the guise of helping ensure the quality and purity of medical marijuana” but that in reality it “would essentially lead to the equivalent of a big box retailer opening next door to a small family-owned business.” In other words, the bill would make it nearly impossible for smaller businesses and caregivers to meet costly requirements for obtaining a license to distribute medical marijuana. The fear is that large-scale drug companies with plenty of capital and an established infrastructure would enter the market and dominate the distribution scene in the state. The bill calls for classifying medical marijuana as a pharmaceutical-grade medicine, meaning individuals and companies selling it to patients would have to meet numerous requirements tied to dosage, purity and safety. The group argues that another bill – HB5580 – recently introduced in the state would ensure patients receive safe, reliable medicine but would make it easier for smaller players to cultivate and distribute cannabis. NPRA’s opposition to the bill underscores the difficult task state lawmakers have ahead of them as they try to overhaul Michigan’s MMJ laws and regulate dispensaries. While everyone agrees something must be done, there’s much disagreement on how to go about it. Well, like any other industry, they will regulate and tax the heck out of smaller medical marijuana dispensaries and give major tax loopholes and less regulation to the big corporate medical marijuana dispensaries. The end result will be a corporate monopoly of companies with the most lobbyists. Medicine is not taxed in Michigan, or under the Medical Marijuana Act. The entire bill is just more needless regulation, not for the benefit of patients and caregivers.